I first noticed it when Google+ launched. "Man," I thought, "this place is heavy on photographs." Not a bad thing (necessarily), just an observation. Over the next several years, Facebook and Twitter followed suit -- soon it seemed just about every post included visual content. Old-timers lament that social media used to be about being social -- about holding conversations and getting to know one another. Now it's quote graphics and "Caturday." It's streaming live video of whatever comes to mind and posting photos of everything from what you had for breakfast to the sunset over Cairo. There's nothing wrong with quotes, cats, shooting the breeze, sharing details of your personal life or enjoying nature. If you can afford the break. You see, it's entirely possible to get plenty of likes, shares and comments on Facebook... and still fail in business. Let's take a hard look at a topic many see no downside to whatsoever. After all, the unrecognized trap is the most dangerous trap of all. Ask someone what they think about "visual marketing," and you may get a blank look in return. It's a relatively new buzz word, so let's begin with a working definition. And within that definition lies the first major pitfall of visual marketing: The focus shouldn't be on the visual elements themselves -- but on using them for some strictly defined purpose. For example, let's say I design a quote graphic for my Facebook Page. It's a work of (Canva) art. I stayed awake most of the night trying to think of something pithy to say -- finally, it's posted, and I can't wait to see the comments from fans. One question, though: Where does that effort and expense fit in my sales strategy? How do I measure my return on investment? With the new, easy-to-use tools it can be fun playing designer. You can quickly turn out a flurry of impressive images. But you should be very, very careful of getting focused on creating and posting visual content without knowing EXACTLY why you're doing it and how every single post fits in your sales strategy. You don't have time or resources to waste. Internet marketing is way too competitive for that. 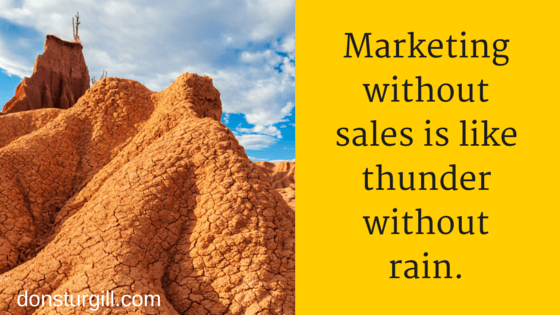 Marketing without sales is like thunder without rain. If you do NOT do it, you’re doomed. ALL the platforms rank visuals higher in their discovery algorithms. Just throwing a 2-minute Facebook video into a Facebook post POWERS it up into the “everyone sees it” rankings. That’s why most every post you see on FB is a photo or a video. 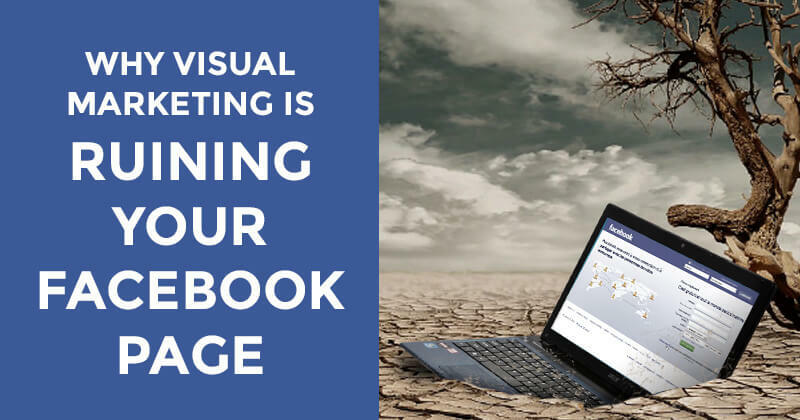 There's no doubt that visual marketing is CURRENTLY pulling strong juice from Facebook and should certainly be included in your tactical efforts to advance sales. 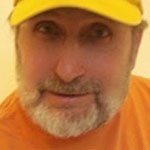 One question, though: Have you ever seen Facebook change its algoirithm or favor something else (in a heartbeat)? One thing I've noticed: Earlier adopters of Twitter and Facebook aren't that happy about graphics and GIFs. But the new generation is all over it. So I'd say the future is bright for visual marketing. Visual content marketing is on a roll and it's likely to remain on a roll. 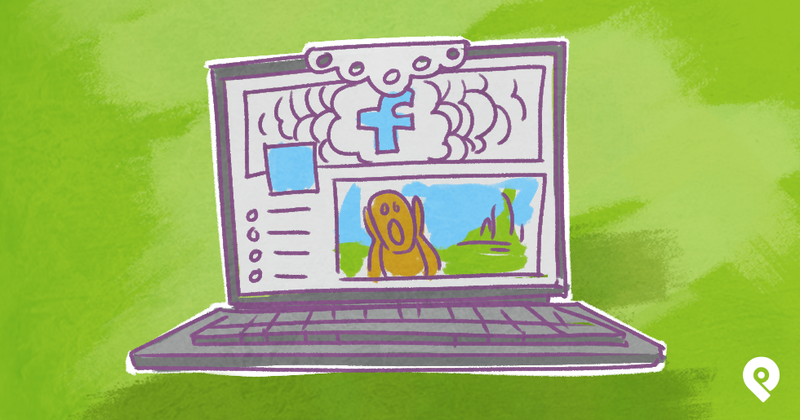 How, then, can it RUIN your Facebook Page? Did you know that it's only been the last couple of years that USA colleges have found a way to successfully teach internet marketing? That's because the field changes so quickly that textbooks can't be printed fast enough to keep up. Designing internet marketing coursework by pulling from available resources is so time-intensive that I'll bet you HALF the colleges in the country STILL don't have a full-fledged internet marketing program. One guy decided to do something about it, so he started a company that provides an online turn-key teaching solution to help college professors stay ahead of the curve in their classrooms. If anybody keeps up with the current state of online marketing, it's the founder of that company -- Stuart Draper. Draper sees the value of visual marketing, but he also sees the potential for getting the cart before the horse. New tools have given every person with an internet connection the ability to create graphics that would have required Photoshop skills just a few years ago. The danger here is that we get so carried away with our new-found powers that we begin to think PLENTY of content is EFFECTIVE content. The two may not correlate. Everything that goes on a business Page reflects the company or brand that Page represents. Always favor quality over quantity. I live in Oregon. I love Oregon. And I especially love the trees. I've seen a Douglas fir so big half a dozen people reaching out and holding hands couldn't circle the trunk. When hundreds and thousands of acres of trees all grow together, the forest they produce is a lovely sight... but the trees tend to disappear. There are so many of them it's easy to see the forest but lose sight of the trees. What do you think happens when visitors to your Page see post after post after post of visual content? Are they sharing what they like and moving on, or are they stopping to find out more about what you offer? Visual content is certainly lovely to look at and fun to share -- but how many clicks is it drawing? How many people are visiting your landing page or website or signing up on your email list because you shared a really cool photo or quote? Have you counted conversions from visual posts lately, or are you too busy producing content to measure its results? If you work for a client -- will you be able to show that client a verifiable return on investment? I've seen it happen time after time: Those who hold the course and keep their eyes on the basics of sales out-perform and out-last the frenzied crowd. I'm not saying you shouldn't stay up with developments. I'm saying you should never forget the fundamentals. Don't let the shiny object syndrome draw you away from the tasks at hand. Today, it's simply not enough to just make a post with an image and expect social engagement... that image needs to have some compelling visuals to draw in interest amongst a sea of other competing posts. 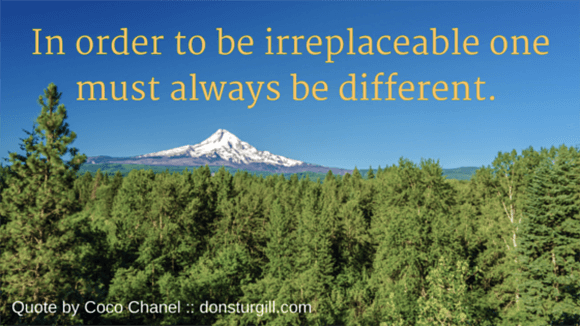 Being unique is still one of the most compelling reasons to receive social media attention for the platforms that flourish on the concepts of personalization. The image really needs to connect in a meaningful way with the audience on a personal level. This requires taking into account the behavior and attitude of your target audience and putting that agenda before your own when it comes to that initial "hook" that gets them excited. This topic (interaction of humans with social media) is the recent focus of attention in my class on social psychology. No matter what we do, even if we change the approach, people will tire of it at some point. That's the nature of how we behave in this social media world. We're conditioned to look for the next new thing, even in visual marketing. Based on that, I think we should attempt to be conscientious and relationship-oriented, while understanding that we, as a culture and as individuals will tire of anything and everything. Yes, there are times when I not only don't see the trees, I don't even acknowledge the forest. I'm driving too fast, trying to get somewhere I may not even need to go. I spoke with one other person while doing the research for this article -- content marketer Christopher Benitez. Almost everybody does image quotes nowadays. It has reached a point of unoriginality and laziness. Banking on tired ideas as your foundation will lead your visual marketing campaign to fail. It's sad to see someone fail to try. But it's even sadder to see someone really try -- but end up failing. Drawing on 30+ years of business experience, Eric Wagner listed 5 reasons why 8 of 10 small business startups fail in the first 18 months of operation. Visual content marking tactics can help you develop dialogue, differentiate yourself and communicate a value proposition -- they can HELP you do that. But they can't carry the load. They are a means, not an end. Chances are good that you aren't selling quote graphics or cute photos of cats. Have fun, but stay focused -- and stay relative to your buying audience (your REAL audience). 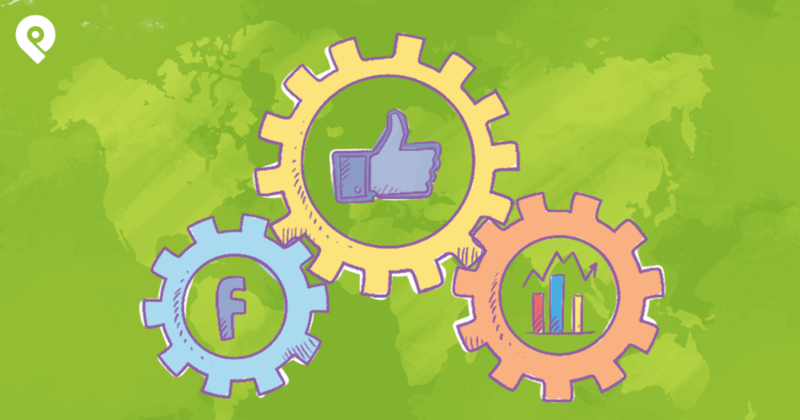 Are your visual content marketing efforts helping you get more sales? Do you feel pressured to produce more and better visual content in order to grab your slice of the customer attention pie? How do visuals figure in your sales strategy?